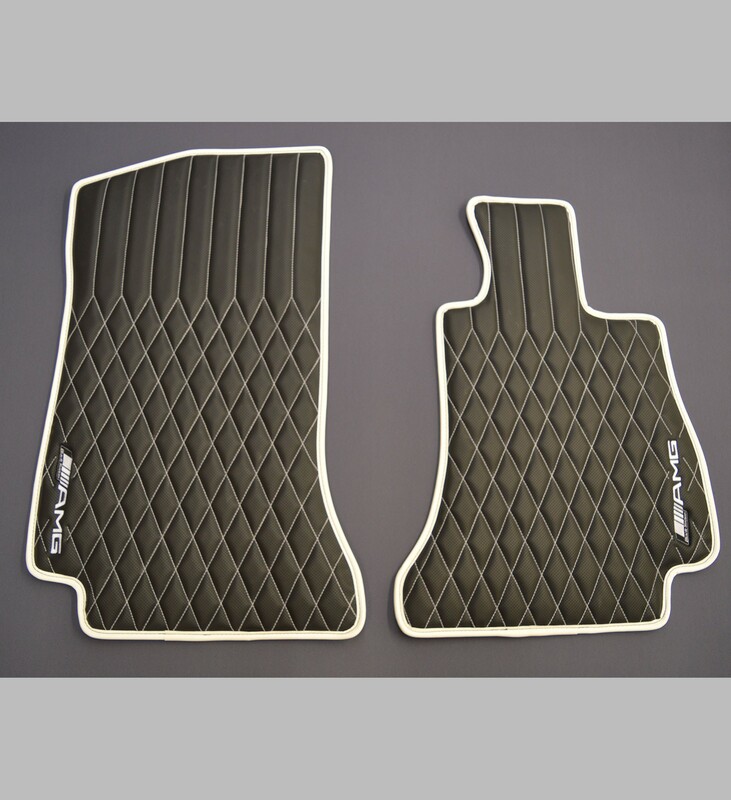 These bespoke unique car mats are the embodiment of luxury and would compliment the interior of any car including the luxurious C Class W205. They are precision cut with the latest cutting technology and then hand finished by one our expert team. These are completely tailored to fit the dimensions of the C Class' foot-wells and come with correct approved fixing points to ensure complete safety by no movement. These have been made using perforated leatherette with leatherette edge binding to compliment both the interior and exterior of vehicles they were put in. You can have the mats made in any colour leatherette we have available. Although they are made from leatherette they will still have an anti slip rubber backing to help improve with no movement of the mats. 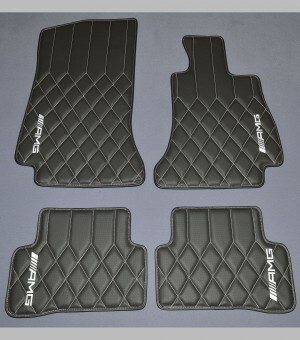 These mats come with 4 AMG logos, 1 on each mat. You can change these to your preference, or can add extra logos to your own choice. Binding around the edge of the mats is also available in any colour leatherette we have available. If you have any questions in relation to this product then don't hesitate to contact us. 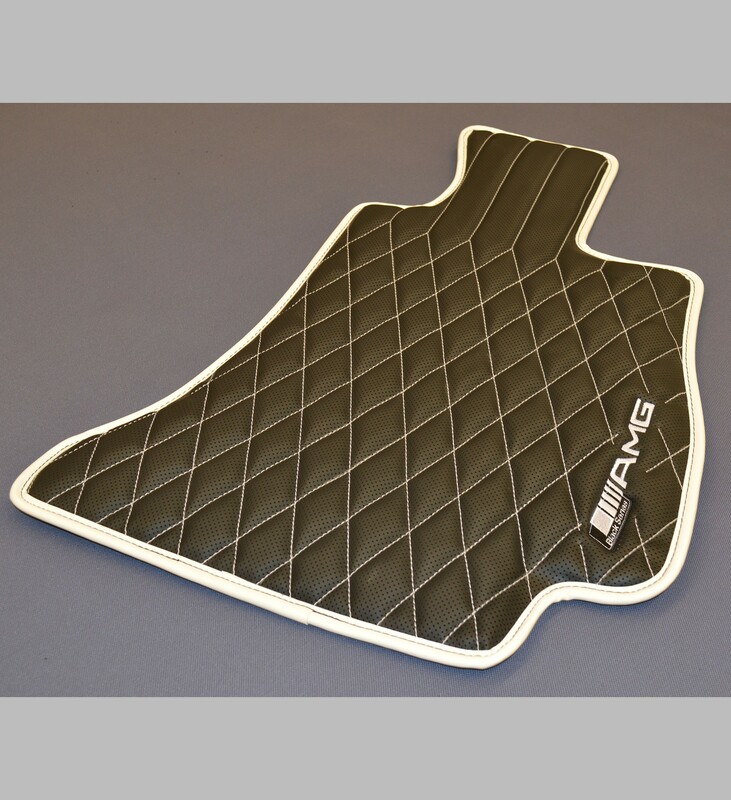 Price stated is for leatherette floor mats shown with 4 x AMG logos, diamond quilted design and white stitching. You can change the colour of the leatherette as well as the stitching to your own choice. Our tailored car mats are designed to specifically fit your vehicles floor well. They come with an anti slip backing so to hold the mats in place whilst driving and also include locator clips where applicable. Our tailored mats are manufactured from high quality materials, so you can rest assured that you are still getting the best when it comes to product quality. 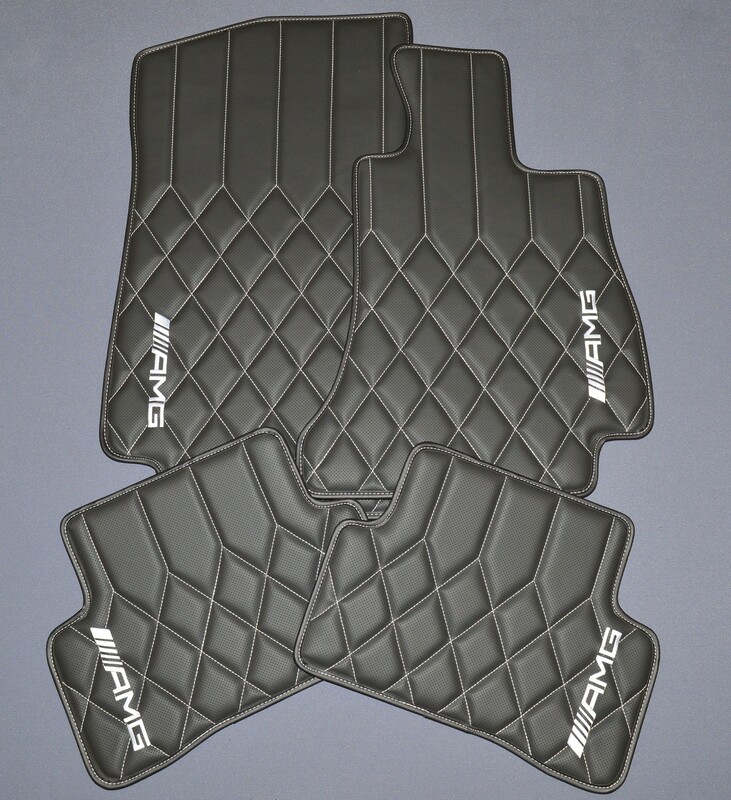 Mats will come with a heel pad, but this will be seperated from the mats and it's at the customer's descration if they want to add it to the floor mats. If you want to make any changes to the mats then please don't hesitate to contact us.